Chamari K, Hachana Y, Kaouech F, Jeddi R, Moussa-Chamari I, Wisløff U. (2005) Endurance training and testing with the ball in young elite soccer players. British Journal of Sports Medicine, 39:24-28. McMillan K, Helgerud J, Grant SJ, Newell J, Wilson J, Macdonald R, Hoff J. (2005) Lactate threshold responses to a season of professional British youth soccer. British Journal of Sports Medicine, 39:432-436. Hoff J, Wisløff U, Engen LC, Kemi OJ, Helgerud J. 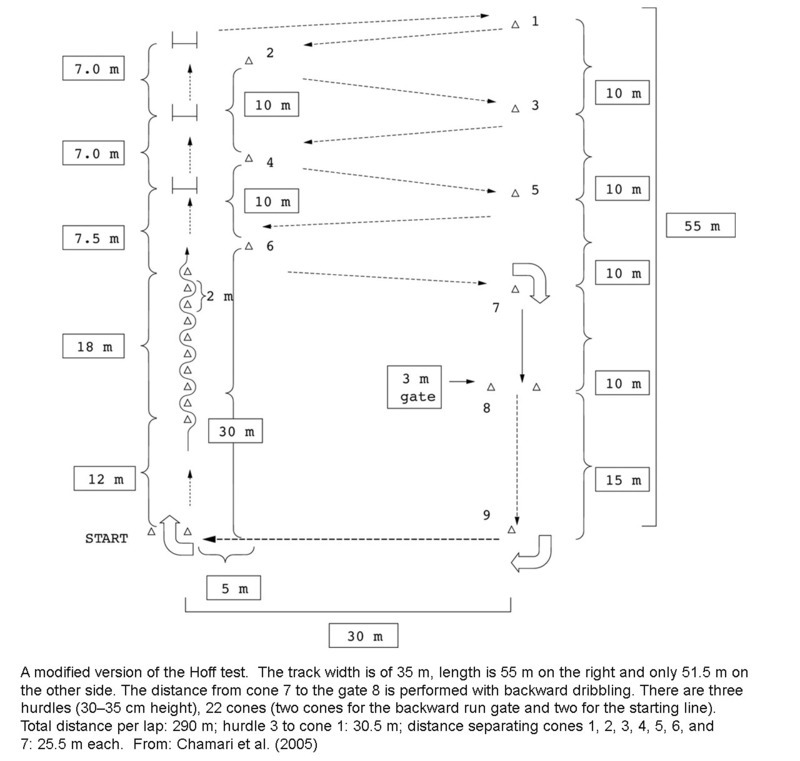 (2002) Soccer specific aerobic endurance training. British Journal of Sports Medicine, 36:218-221. Reference: What is the Hoff Test?